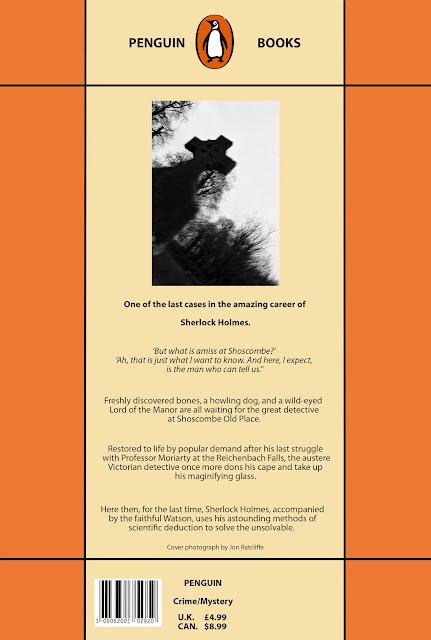 There was only one choice of book to create a cover for in the Unit 7 FujiFilm competition back in February, Sherlock Holmes! 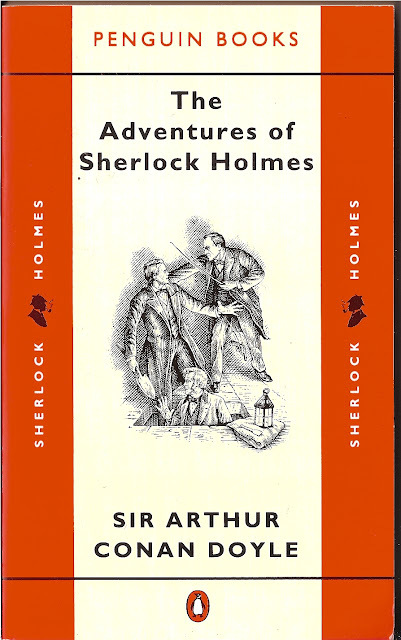 The first story I ever read was The Adventure of the Speckled Band and was bought a couple of BBC double-cassettes (remember them?) of the radio adaptations, then bought the entire radio collection, and have been hooked ever since. Not long after, I proudly took charge of a box set of the entire canon, in the signature orange. Re-creating the book jacket design would be challenging in photoshop, but once I had the image that suited the story it was simpler than I thought. The question was, which story to create an image and jacket for? Think Sherlock Holmes and you immediately jump to that terrifying dog stalking the inhabitants of Baskerville Hall, or that fateful meeting at the Reichenbach Falls. For me, the stories I go back to again and again are those with the core Doyle spirit, the idea of the locked room mysteries and what appears to be a magic trick ("I can see that you're a semi-professional photographer, with a perchance for landscapes, cocktails and have spent some time in Swindon", that type of thing!) but when explained and broken down into it's constituent parts, appears simple. 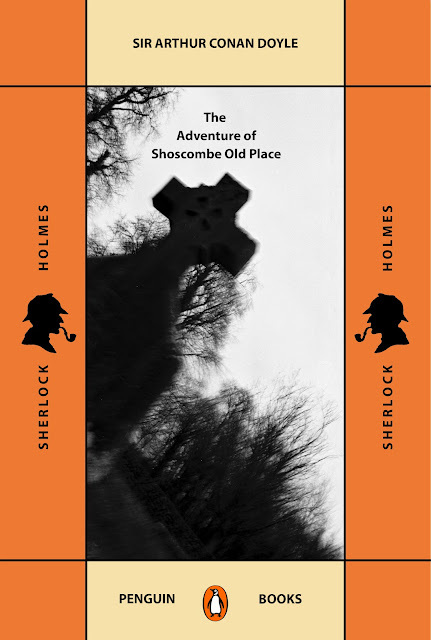 Two stories came back strongly, The Adventure of the Three Students and The Adventure of Shoscombe Old Place. These have related themes, what appears to be the committing of a great crime turns out to be a tale of personal anguish more than a tremendous illegality. I won't spoil it for any new readers! I shot on a manual SLR on black and white film around Lydiard Park, making use of the frozen lake, lawn, and St Mary's Church. I knew I wanted the headstones in the shot, but not from this low, angled viewpoint. An extended shutter speed and moving the camera at the same time, that'll do nicely! Building the jacket was straightforward. Making extensive use of the grid in photoshop to get the symmetry exact, the building of the blocks of colour, the lines, placing of the text, logos and silhouettes all took referral back to the original for guidance. The orange and cream were altered from the version I was working from after research showed that there's not been a fixed set of these tones. With the growth in Penguin-branded items in recent years, a lighter orange has been adopted. 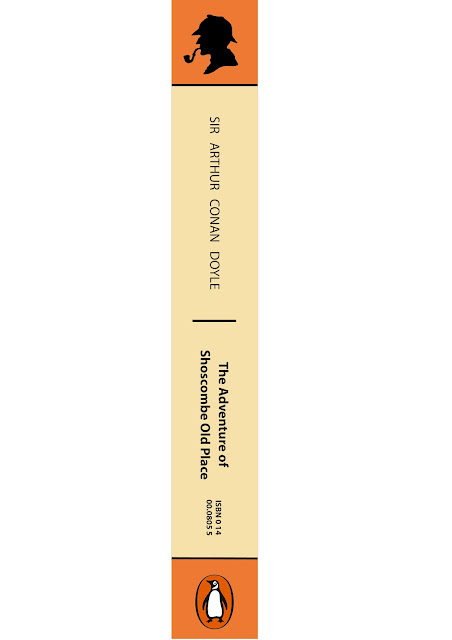 I did not plan on creating a back cover and spine design, but went the whole hog anyway. The result? I've taken some license in creating a cover for a story that's not been produced in individual book form, but you could call it "an instructive exercise" in whether the stories are strong enough to stand up individually (which they are). I'm pleased with the result, but now find my mind wandering to the other titles, The Five Orange Pips, The Adventure of the Missing Three-Quarter, or maybe the creepiness of The Adventure of the Solitary Cyclist? For reasons of information, the best Sherlock Holmes portrayals are both Mister Jeremy Brett and Mister Clive Merrison (the only actor to have performed the role in every single short story and novel of the great detective).